‘Rebel for Life’. I love that phrase and the double meaning. Simple, with a big impact. That’s what we’re trying to do in Extinction Rebellion: Rebel against a system which is causing catastrophic climate change. The climate breakdown we’re experiencing now will impact all life on Earth within our lifetimes, and exponentially so within the lifetimes of our children. The evidence is irrefutable, and yet our leaders don’t seem get it. In fact most people don’t seem to get it, but that is changing. 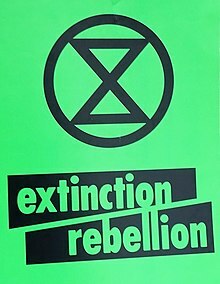 Extinction Rebellion is a movement I have become part of over the last few months, and is something close to my heart. It’s great to finally meet and work with a group of individuals who feel the same way, and who are awake to the challenges we face; all the grief, anxiety, anger and despair, with the same aim of trying to provoke the changes desperately needed. Traditional methods of driving change just aren’t working. Writing to your MP is all well and good, but what if they don’t listen, and are unwilling to educate themselves. Petitions get ignored, and scientists sidelined by powerful lobbyists backed by fossil fuel companies. We attempted to get Norwich City Council to declare a Climate Emergency, however this was downgraded to acknowledging a Climate Emergency, with no increased commitment to reducing carbon emissions within a sensible timeframe. More political shenanigans by Labour councillors unwilling to face reality. Yes the council have done some good stuff on the climate front, but it’s nowhere near enough. In some ways I can’t blame them, as they truly believe they’re doing the right thing, but that’s because they’re not properly awake to the challenges we face yet. This is deadly serious. We need to adapt now, and that adaptation has got to be deep with fundamental lifestyle changes for all. Thanks to the Green Party Councillor Denise Carlo for tabling the motion so eloquently, and to the backing of the Green Party Councillors present. A shame the Labour councillors don’t get it and are more concerned with political jockeying and short-term goals. It reminded me of why I’m loathed to watch Question Time anymore. The Intergovernmental Panel on Climate Change says we have 12 years to drastically cut carbon emissions if we’re to be in with a chance of limiting global temperature rises to below 1.5’C. Rises above that will see drastic increases in droughts, flooding, food shortages and extreme heat and weather events. We’ll see mass population displacement and migration, with the associated social, political and economic problems these bring. The bad news is we’ve almost certainly passed the point of limiting temperature rises to below 1.5’C, and we’re already seeing all these problems. It’s happening NOW. And yet politicians, business leaders, and people in general don’t seem to want to acknowledge the Climate Emergency, or do anything about it. Even if a Climate Emergency is declared it’s only words, often not backed up by deeds, with policies driven by the idolization of unfettered and unsustainable economic growth; policies that often only benefit the superrich. Again in some ways I can’t blame them. It’s hard to comprehend the scale of the problem and the impacts it’ll have. Much easier to live in denial and not wake up. And that’s what a lot of our so-called leaders want us to do: Don’t wake up, continue being compliant little consumers who can be exploited, whilst they sit amongst their riches secretly building emergency bolt holes for when it all goes wrong; yes, that’s happening, the world’s elite aren’t stupid. 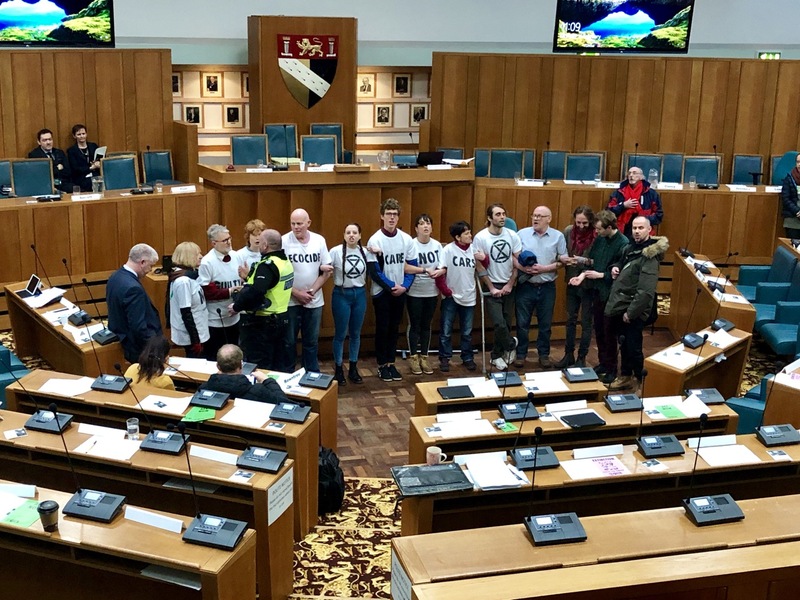 The Norwich chapter of Extinction Rebellion took action last week, at the Norfolk County Council annual budget meeting, to try to drive home the point that change is needed. We strongly oppose the building of the new Western link road due to the increased carbon emissions that will result from both its building, and use. The money would be far better spent on other projects such as public transport, social housing, renewable energy schemes, and measures to prepare for sea level rises that will sink places like Great Yarmouth and King’s Lynn. The leaflet we produced explains more. We disrupted the council meeting for around 5 hours by occupying the council chamber and making our voices heard through colourful and at times harmonious chants. I went along to help record the protest and broadcast updates via social media. We don’t take this sort of action lightly, however as the leaflet says we’ve had enough of asking politely and not being listened too, of being sidelined, ridiculed and ignored. Our leaders are failing us, even though they don’t seem to realise it, and need to be woken up. We won’t take the destruction of planet and our futures, as well as the human caused 6th mass extinction event, lying down. Again, this is happening now and it’s not hard to find out about it; look at how insect numbers have plunged, the levels of biodiversity loss, sea ice diminishing to the point of blue ocean events in the arctic, or the fact that between 150 and 200 species are going extinct every day – a rate that is around 1,000 times greater than the background or natural rate. Four of our number were arrested at the protest, and willingly so, a small price to pay for getting the message out there. Kudos and my personal thanks to them all. I should say the police were courteous and gentle, and we have no complaints about how they conducted themselves. They’re just doing their job. It’s a shame our politicians aren’t. The four people arrested were charged under a law dredged up from the archives, something created in the early 20th century to deal with movements like the Suffragettes. Oh…the irony. The county council even had a Suffragettes exhibition on display in the building, but obviously were blind to the parallels. 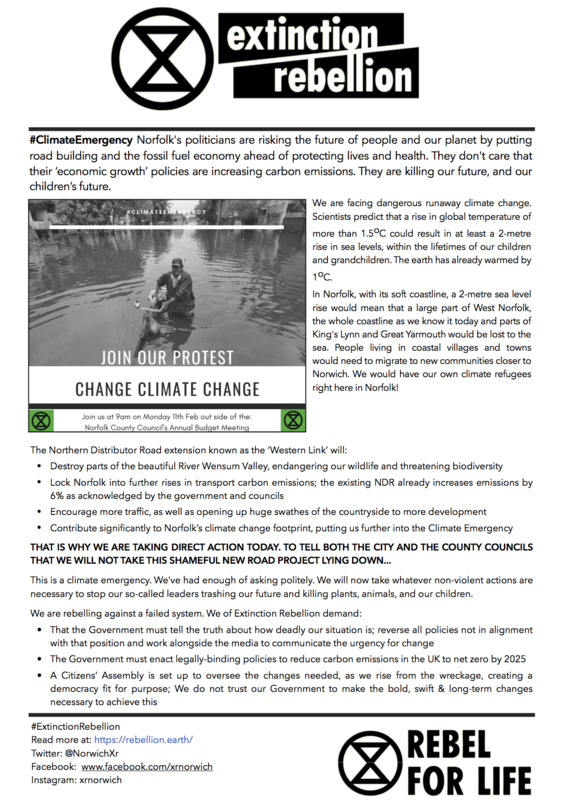 Following on from last week’s protest a group of Extinction Rebels also visited a South Norfolk district council meeting last night, to table a question requesting the declaration of a Climate Emergency. The request was refused by the council, with their action on cleaning up graffiti, fly tipping, and road advertising all being cited as reasons why they’re doing enough. Cleaning up graffiti…they really don’t get it to they. How can that possibly help any of us in the fight versus catastrophic climate breakdown? This kind of ignorance is what we’re facing, and why Extinction Rebellion advocates non-violent direct action. We’ve got to rebel to stand a chance, following in the footsteps of movements like the Suffragettes, or individuals such as Gandhi; when the political system fails us it is our duty to rebel against it, and this is surely the biggest crisis faced by the human race to date. We did invite Councillor Kay Mason Billig, Deputy Leader of the South Norfolk District Council, to meet with us to discuss the benefits of declaring a Climate Emergency. Councillor Billig politely refused, confirming there was nothing more she could do to assist with this request seeing as the council had refused it. She did wish us well with our campaign though…which is nice…she clearly doesn’t get it. On a positive note did you witness the children striking for their future on Friday? It was truly moving to see thousands of pupils strike from school lessons to protest against the lack of action on climate change, a movement started by the inspiring Greta Thunberg (please watch her TED talk, and follow her on Twitter). Hearing their voices eloquently calling for change was amazing to watch, and I’m very much looking forward to the next #SchoolStrike4Climate on March 15; this is going to grow and grow. Some politicians such as the progressive MP for South Norwich, Clive Lewis, came out in support of them, whilst others, including our Prime Minister, derided the action saying pupils should not damage their education by skipping lessons, and could face detentions and disciplinary action. As many pupils have said it’s their future being destroyed, and it’s time for change. Sacrificing a few hours of lesson time is more than worth it, and what is the point of learning if there is no future? Full credit to these children, they’re doing more than most adults for the cause. I believe Theresa May said something along the lines of children and teacher time being wasted. I’m not sure she really has a leg to stand on after seeing the parliamentary shambles of the last few years. They have also wasted at least 30 years by not doing anything to avert this crisis; these facts have been known for decades. I’m at the point of complete disgust and despair at most of our politicians and leaders, with a few exceptions such as Caroline Lucas, or Clive Lewis. Talking to them just isn’t working, and neither are letters or petitions. Direct action seems our only recourse. We are all going to have to change our lifestyles in order to stand a chance, and for our children to stand a chance. The changes needed will be far-reaching; a topic for another blog, and for a Citizens Assembly to try to work out. I certainly don’t have the answers. The question I was asking myself today was why do most people in this country, and in more developed countries across the world, seem to value their often luxurious and consumptive lifestyles more than they love their children? Why won’t they make even simple changes like using a car less, rejecting fast fashion, or cutting down meat consumption? I don’t get it. Many indigenous cultures claim we have forgotten how to love our children. I think they might be right. 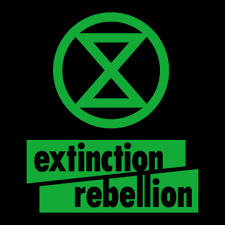 You can follow Norwich Extinction Rebellion activity via our Twitter account, @NorwichXr, as well as our Instagram and Facebook accounts. Please feel free to come along to one of the weekly general meetings which happen most Thursdays; details on Facebook, or message me. 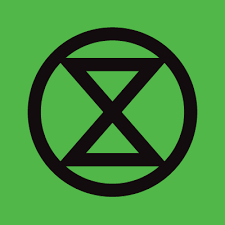 This entry was posted in Climate Change, Extinction Rebellion, Norfolk and tagged Activism, Climate Breakdown, Climate Change, Climate Emergency, Climate Justice, Environment, Extinction Rebellion, Norfolk, Norfolk County Council, Norwich City Council, Rebel for Life, School Strike, School Strike 4 Future on February 19, 2019 by SelfPropelled. I’ll start this post with some autumnal pictures. It’s my favourite time of year, incorporating beautiful colours in the countryside, crisp and bright days, and the Norwich beer festival; always a must visit. Walking or cycling through the countryside, breathing in the fresh air, is a true delight. And there’s always the joy of jumping into piles of leaves, or taking in a magnificent sunset. I don’t have any recent sunset pictures, as sometimes it’s good just to take it all in without having to photograph it. I do have the privilege to cycle past Whitlingham Broad on my way to work each morning though, which always offers a calm moment before the day starts in earnest. Each year I wonder if we’ll see the same next year. What will have burnt, been blown down, or perished from either drought, habitat destruction or any one of a number of other human caused blights? The wildfires in California, or the increased frequency of ‘once in a hundred years’ storms, are just a few examples. There’s no doubt we’re in the midst of an environmental crisis now. The symptoms of Climate Breakdown are everywhere to see and this is just the beginning. The Intergovernmental Panel on Climate Change, or Climate Breakdown as it should now be called, says we have just 12 years to avert catastrophe. I hope this is true and we’ve not already passed the tipping point. I’m not going to include lots of links to evidence, to scientific commentary or opinion, as it’s easy to find on the web, however if you have any doubts this is true, or are in denial, I recommend doing a bit of research (I can supply some pointers upon request). A lot of us have had enough of this now. Of the failure of governments, corporations, and indeed most of the people on the planet, to do anything to avert the impending catastrophe. We are failing future generations of children, and indeed all life on the planet. We can’t however dwell on the past too much, or start blaming previous generations, that won’t help. For what has probably been several years this has been weighing heavily on my mind, and I’ve experienced a full range of emotions on the subject which I now realise, with the help of friends and wiser people than I, are down to grief. You’d have thought I’d have recognised the symptoms given previous life events. Sadness, a bit of denial, despair and depression, anger, and now hopefully acceptance. You can’t move on and do anything constructive about an issue you’re grieving about unless you can accept it’s happened or happening, and the truth. 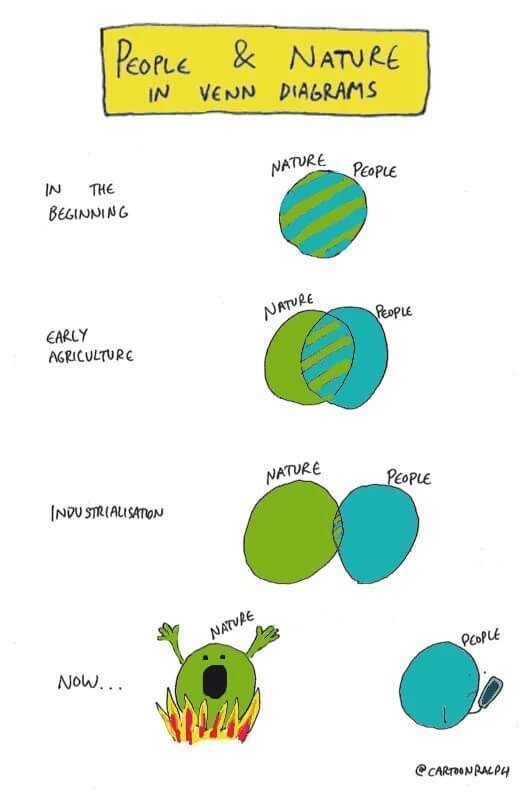 If you’re going through this yourself I can thoroughly recommend looking up Joanna Macy, the deep ecologist, and the work that reconnects. It helps. On a side note I’m really starting to think that a lot of the mental health problems we’re seeing at the moment might be related to all of this. At some level, even subconsciously and especially amongst children, are we all recognising the problem and threat? Is this why levels are depression and anxiety are soaring? Last night I decided to go to a talk organised by Extinction Rebellion. It was a game-changer as far as I’m concerned. The talk was hosted by Rupert Read, a Green Party politician, academic and reader of philosophy at the University of East Anglia where I studied. He gave the same talk at Churchill College in Cambridge recently, and I’d really recommend everyone listen to it, challenge it if necessary, and try to understand it. If you do nothing else, or don’t ready any further, please watch at least some of this! Yes, this stuff is really scary, terrifying. I was beginning to think that very few other people saw it the same way I’ve been seeing it. It makes one feel very alone, and question whether you’re one of the ‘crazies’. I don’t feel that way anymore. They expected maybe 50 odd people to turn up last night. There were around 120 of us crammed into the room, a brilliant turn out given it was only organised the week before. There were people from all walks of life too, lest you think it was just fringe hippies and malcontents. Finally a group of like-minded I can relate to, who are as worried as I am, and who are willing to try to do something about it. We really do have just years to try do something about this. It’s something that will not just potentially cut your children’s lives short, it could do so for your own life, or at least future wellbeing. As Rupert says in his talk there are three possibilities at the moment. I reckon number three is the sensible choice to strive for, if it’s not too late, but it’s also the hardest route to take, and possibly the biggest challenge we’ve faced as a species. To make it work it’ll need everyone to get on board, completely change their lifestyles, and priorities. It’s harder than previous challenges we’ve faced on subjects such as equality, voting rights, and discrimination. We are after all talking about people who are currently rich, comfortable, and enjoying a life of comparative luxury (most people in the UK relative to other parts of the world) needing to set much of what they currently value aside. However, if we can start to transform civilisation we’ll be in with a chance, and we could end up being in a much better place than we are now on many counts. People may ask isn’t the Paris Climate Change Agreement supposed to avert all these problems? Doesn’t the IPCC report offer hope? The answer to that, in brief, is no. The Paris agreement is effectively burnt, especially if the US pulls out. It doesn’t go far enough and won’t prevent the temperature rises that are going to cause so many problems. These reports and agreements don’t take into account things like feedback loops from ice-melt and the permafrost thawing. If methane emissions soar (releasing the dragon), which is entirely possible, we’ll see the release of massive amounts of a greenhouse gas far worse than CO2. It would appear therefore we have years to try to fix this, and we need to get as many people involved to completely change the way we live, consume, travel, grow our food, enjoy our leisure activities etc. I’m not sure this is possible but surely it’s got to be worth a go? It really is time for people to wake up to this, for people to start talking about it and for action to start happening on a major scale. And we have to approach this in the right way, not with accusations and trying to force people to see your point of view, but by providing information and the facts, and asking them questions, so they can reach their own conclusions, go through the grieving process, and come out the other side to add a positive contribution. This is much bigger than Brexit, or the NHS crisis, yet it’s not anywhere near the top our governments agenda. They are letting us down. Governments and corporations aren’t doing anything quickly enough, or anything at all in many cases. They need to start listening and the only way to make that happen appears to be via non-violent direct action, which is what Extinction Rebellion is trying to organise. We need to stop the destructive spiral that is going on at the moment and make change happen. I’d invite anyone reading this (there’s got to be at least 2 or 3 people who got this far), to check out Extinction Rebellion yourself. Spread the word. Get involved and consider non-violent direct action to make the government listen. There are ‘Holding actions’ we can undertake to slow things down. There’s going to be some good stuff happening in London this weekend. This has the potential to be huge, and even if it doesn’t work I don’t want to be in situation in 10 or 20 years time wishing I’d tried to do something. It’s got to be worth a shot whilst we still have a chance hasn’t it? This entry was posted in Climate Change, Extinction Rebellion, General, Self Propelled 2018, UK and tagged Autumn, Climate Breakdown, Climate Change, Countryside, Environment, Extinction Rebellion, IPCC, photos, Rupert Read, Self Propelled 2018 on November 16, 2018 by SelfPropelled. I made a commitment to myself at the beginning of the year to write to my local MP, Keith Simpson, concerning issues that I feel strongly about. I figure you can’t complain if you’re not willing to do something about it, and also it’s going to help me keep sane in a world that increasingly makes less and less sense. I may still write to him about being paid to cycle to work and how the Government could contribute to this, but I need to do some more work on that; they already indirectly contribute via things like cycle to work schemes, I’m just not sure they work very well. In the meantime I’ve sent the below, and am looking forward to seeing what he has to say. I hope this email finds you well, and like me looking forward to it getting a little more spring-like soon. It was good to see you in the local press recently alongside the announcement that the last bit of the NDR will be opening soon. I am writing to you concerning the increasing number of housing developments that are being planned around Norwich, which are starting to eat up more and more green field sites. I understand there is a housing demand, however I want to make sure this demand is being satisfied in a well conceived and sustainable fashion, without too much impact on the environment and our beautiful countryside, something I’m sure you can agree with. To let you know a little about myself. I moved to Salhouse just over a year ago, and am loving living in the countryside after being in Norwich since I moved from the South East to go to UEA in 1993. I now work for Virgin Money as a Project Manager. I recently read an article in the EDP (http://www.edp24.co.uk/edp-property/councillors-approve-380-homes-sprowston-1-5459687) which claims that a housing development in Sprowston will only have 10% of affordable homes, despite the Joint Core Strategy policy having a target of 33%. I would like to know if this is true (the EDP isn’t always 100% accurate), and what the reason for this deviation is. Is it a case of the developer saying they won’t have a sufficient profit margin if the affordable housing ratio goes above 10%, and if so has this been independently verified? I understand this development falls within the Broadland district. My concern is that whilst we have a housing shortage, and need to build more homes, what’s the point if people aren’t going to be able to afford them? People may also overstretch themselves on the borrowing front, leading to bad debt and repossessions should interest rates go up, which seems inevitable in the short to medium term. My suspicion from reading other articles on housing plans is that very few will meet the recommended percentage of affordable housing. Perhaps the strategy needs to be revisited on this, or pressure put on developers to change their plans? I also recently wrote to the Broadland Planning department concerning a small housing development that is being planned for the field behind where I live (Application 20180360). I know they don’t reply to individual emails, however I’d like to make you aware of the points I raised, especially considering Salhouse again experienced issues with flooding this winter. I have copied in the relevant section of my email of 31 March 2018 below. 1) Access to the new development via Barn Piece Close. I’m not convinced the road is big enough to be used by vehicles accessing the additional site. It’s quite narrow, and access on to the main road could start to become an issue with the increased number of cars. There could be a risk this turns into an accident zone as cars don’t exactly travel down Salhouse Road to the mini roundabout slowly. Also the dead-end close has children who play in it at the moment, and safety issues might result from increased traffic. Is there an alternative route into the site that could be considered, perhaps directly from the main road? 2) Mains sewerage capacity. I read in the parish magazine about issues with the village sewerage system overflowing, and not really being fit for purpose for the current number of homes. Is there not a risk the increased number of dwellings could cause more overflow problems. Should the sewer system be improved and expanded prior to any new development being considered? The sewer system recently overflowed again, thus proving this is still an issue. 3) Other utilities. Aside from sewerage, are other utilities such as gas, water, broadband, electricity etc of a sufficient capacity to supply the new homes, with no loss of service to the existing homes in the vicinity? 4) Further expansion. Would this development pave the way for even more development in the immediate area, which would exacerbate the above points even further? 5) I assume the standard ecological surveys ref bats, newts etc will be completed? We have enough threats to the UK’s biodiversity as it is. I would really prefer to see more brown site development going on. I realise development on brown field sites can be more expensive, and that affordable housing is not going to be as attractive to developers seeking to maximise their profits. However, with the challenges first time buyers and lower earners face with getting on the housing ladder, and the threats our countryside and environment are up against, would it be possible to initiate a review of the planning policy to ensure it is benefitting everybody, and doing what it can to protect our rapidly diminishing natural spaces and biodiversity. A supporting argument for this may also be that the housing market is slowing down due to fears of interest rate rises and lack of affordability. Hopefully this means we have the time to review plans and make sure we get them right? I’ll share any response I receive. I have a feeling this may be the first of many pieces of correspondence to Keith, however I’ll always try and make them constructive. 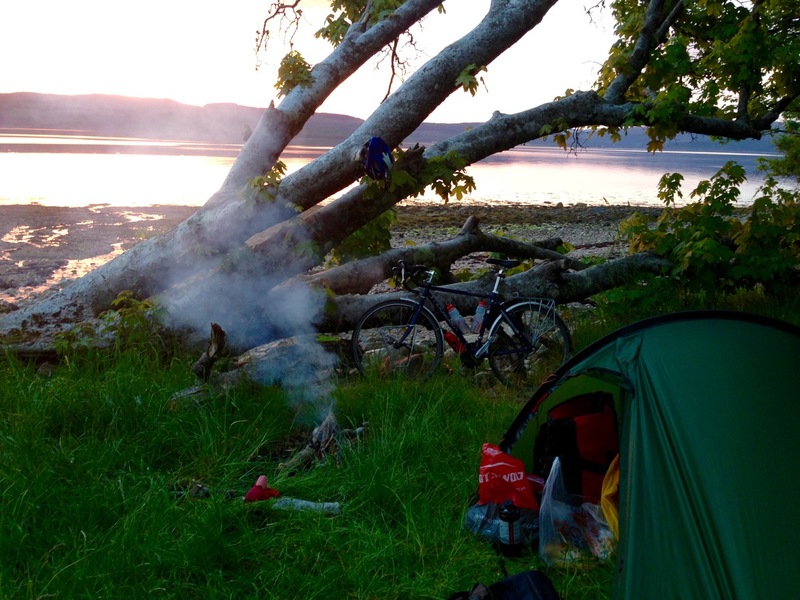 In my next post I’ll get back to plans for summer cycling trips; bike-packing in Scotland on the horizon. This entry was posted in Norfolk, Salhouse, Self Propelled 2018 and tagged Affordable housing, Broadland, EDP, Environment, Housing, Norfolk, Northern Distributor Road, Salhouse, Self Propelled 2018, Sprowston on April 12, 2018 by SelfPropelled. Get paid for cycling to work? I thought the ‘Beast from the East’ was behind us when I went out for a pedal round the Norfolk countryside on Saturday, and to begin with that appeared to be the case. The snow was contained to small patches in fields, and I merrily splashed down narrow lanes full of melt-water. What remained of the previous week’s blizzards was quickly disappearing, with rivulets of water joining together to form larger streams, and in some cases torrents, flowing quickly downhill. 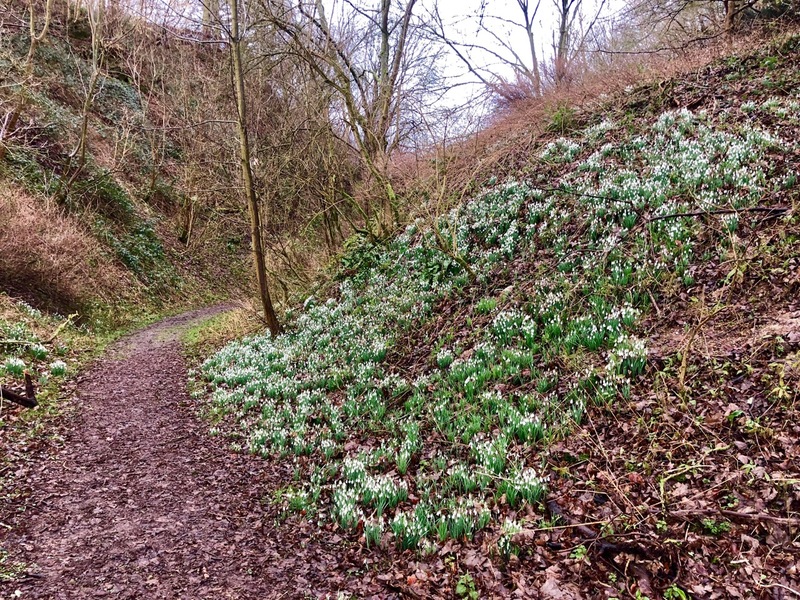 Beneath the retreating snow crocuses and other spring growth were appearing, soon to replace the snow drops. The birds were in fine voice, celebrating the snow’s retreat by collecting twigs for nests and generally getting jiggy with it. I’ve recently rejuvenated my Ridgeback Panorama used for my Bike around Britain tour in 2013. My Oxford Bike Works Expedition Bike is off the road at the moment awaiting wheel repairs and a general post winter rebuild. It’s good to be back on the Ridgeback, despite it being a bit creaky these days; it brings back good memories and the larger wheels mean I’m a bit speedier on the morning commute. So, the Ridgeback and I were speeding along, having taken in Woodbastwick, Ranworth, South Walsham and several other small villages, when we turned down a road near Burlingham which obviously hadn’t seen much sun. 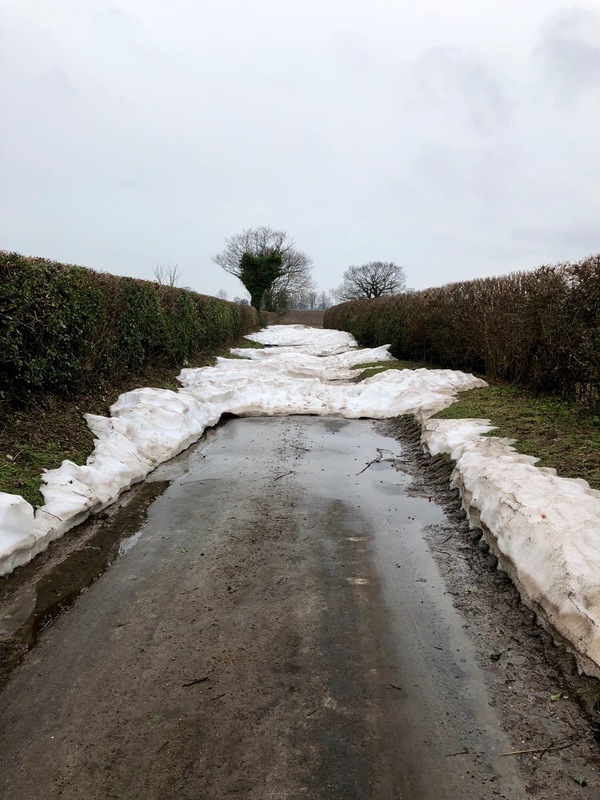 Determined not to be defeated by this impasse, I decided carrying my bike over the still significant snow-drifts was the way forward. The drifts must have been at hedge-height level prior to the thaw. I made it to the other side with feelings akin to those Amundsen must have felt on reaching the South Pole in 1911, however perhaps shorts hadn’t been the best choice of clothing for this outing, and my shoes were on the damp side by the time I hit tarmac again. There are other benefits to be had, however if that isn’t enough I don’t know what is? If you’re still not convinced how about being paid to cycle to work? In New Zealand one business owner has taken it to a new level and is paying his employees $5 a day if they commute by bike for 6 months, rising to $10 a day after that, paid as an annual basis. He’s paying for it out of business profits, and says it’s covered by the improvement in employee productivity and better health. This got me thinking about whether we could do this in the UK. People are often more motivated, at least initially, by monetary incentives rather than the 10 benefits listed above; I know, weird isn’t it, you’d think you’d cycle for those alone with any money being a bonus. If companies can’t afford to do this themselves perhaps the government could offer grants to at least partially fund it. Their incentive to do this would be less stress on an already straining-at-the-seams heath service, as well as improvements to the transport network due to less road erosion, and less traffic jams. It really has to be a win-win for everyone. I suppose the government already pitches in via cycle-to-work schemes, which give you tax breaks, however there have to be the opportunities to encourage cycling. I’m wondering how I can turn this into some sort of business case to present at work, however it might be a bit tricky to assign an actual £ value. Got to be worth a go though, as my gut instinct says the benefits of a more motivated, healthier and happier workforce would outweigh any costs. And perhaps instead of all the money being paid in a bonus to employees they could opt for some or all of it to be paid to charity instead, with Gift Aid on top of these donations. I’ll do some more work on this and maybe float the idea at work. It would mean we’d probably need more places to lock bikes, and maybe more showers, but these things are all doable. In the meantime if you have any suggestions or comments please let me know, all gratefully received; let’s get more people self-propelled! 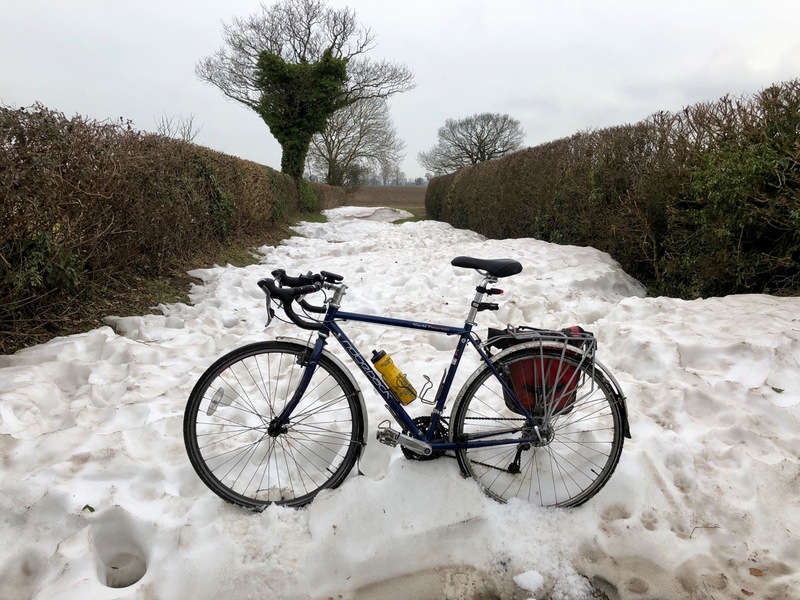 This entry was posted in cycling, Self Propelled 2018, UK and tagged Beast from the East, Benefits of cycling, Bike, Climate Change, Countryside, Cycle to work, cycling, Environment, Norfolk, Paid to pedal, Self Propelled 2018, UK on March 13, 2018 by SelfPropelled. I love it when it snows, and after several years of nothing significant the ‘Beast from the East’ brought buckets of the stuff over the past week. The only draw-back, from my point of view anyway, is that it makes cycling a little tricky; I don’t have any studded tyres. Imagine if we could control the weather; but would that really be a good thing? The potential benefits around, for example, a predictable climate for agriculture, sunshine for the tourist industry, or rain for drought hit areas all sound good. But what about the impacts we couldn’t foresee or chose to ignore? Controlling the weather in one region could adversely impact another geographical area, where perhaps they didn’t have as much money or influence. This downstream area could get hit by extreme weather, or mass species die-off events could become more common-place, such as the Saiga antelope catastrophe in Kazakhstan. In excess of 200,000 of this endangered species died in 2015, when human-caused climate change increased temperatures to such an extent it’s thought they triggered a bacteria present benignly in the antelopes at lower temperatures to cause hemorrhagic septicemia (blood poisoning and internal bleeding), with thousands dying within a few days of each other. An increase in life-threatening diseases due to climate change could happen to human population centres, and some would argue it already is. For example Nigeria is currently experiencing an outbreak of Lassa fever, which in extreme cases has symptoms similar to Ebola, and has no vaccine. There are some theories that the increased frequency of this disease could be down to changing weather patterns. So no, I don’t think we can be trusted to control the weather responsibly. We’re already doing it indirectly via human-caused climate change due to fossil fuel burning. The recent snowy weather resulted from unseasonably warm air being drawn up to the arctic, the Jet Stream slowing down and disrupting the polar vortex, which forced cold air and blizzards down to the UK. Whilst we experienced temperatures well below freezing in Norfolk, it was above freezing in parts of the Arctic, melting yet more of the already at record lows sea ice. This is explained much more eloquently and in far more detail on this website – well written and easy to understand; definitely worth a read. Where am I going with this? I’m pointing out we often don’t really understand, or are unable to predict, the consequences of our actions on the planet. As I mentioned in a previous recent blog post I’ve been pondering where we’re going as a species, and why we keep pursuing unsustainable growth and consumption, whilst the world literally collapses around us. Climate change is becoming a very tangible symptom of our labours. Surely we should be petrified for the future of our children and grandchildren, if not the other species we share the world with. Yes, the planet will survive us, however will anything else on the Earth be left by the time we check out? There are lots of examples of as yet un-checked unsustainable activity in the present day, which we seem to be in denial about. All these have either obvious, as well as I suspect as yet unpredicted consequences. Here are a few examples. 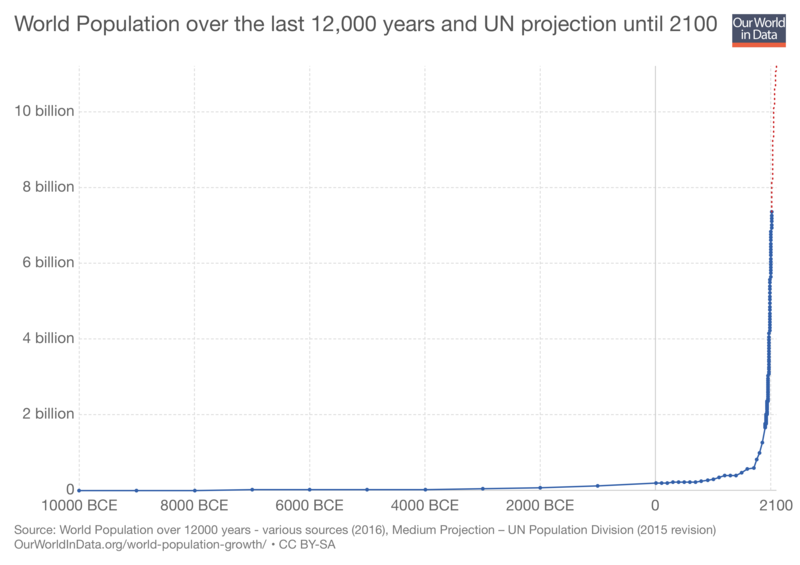 Human population growth. The world’s population is growing at around 83 million or 1.1% a year, although this rate has slowed down since peaking in the 1960’s at about 2.1%, and is predicted to fall further to around 0.1% by 2100. The graph below shows how dramatic this growth has been in the last 200 years. The impact this puts on the environment, especially as more of the population start to live ‘western’ lifestyles, is unsustainable. Agricultural land use. As this article in the New Scientist from 10 years ago says; humans are living completely beyond their ecological means. We knew this a long time ago but still pump fields full of fertilisers and pesticides, which in the long-term degrades the land and makes it less productive, as well as poisons the underlying substrates and surrounding countryside, reducing biodiversity. That coupled with soil erosion means scientists are predicting we only have a limited number of harvests left, maybe 100, due to our unsustainable farming practices. The good news is this should be reversible, given the right techniques and less reliance on chemical fertilisers. The big agrochemical companies, such as Monsanto, don’t really want you to know this for obvious reasons. Check out this video from Dr Elaine Ingham if you want to find out more, a real eye-opener. Fishing. In many areas of the world we’re literally stripping the oceans bare of life to feed our appetite for seafood. Huge industrial trawlers and dredgers indiscriminately take everything, and even if by-catch is thrown back it’s probably not going to survive. Studies have shown that fish numbers have halved since the 70’s, with some species being hit particularly hard such as tuna and mackerel; a 75% decline in numbers. Continued unsustainable fishing practices driven by consumer demand, coupled with horrific plastic pollution and coral reef bleaching, paint a grim picture as far as recovery is concerned. If however large areas of our oceans are designated as marine conservation areas, such as the Arctic, perhaps they’ll stand a chance. Meat eating. There are hundreds of articles out there, such as this one, describing the impacts of raising livestock on the environment. As demand grows due to an increasing population and new markets, the impacts will grow. These include a large contribution to the greenhouse gases causing climate change, increased pollution due to run off, increased water use, and more land being needed to for livestock resulting in deforestation. The amount of land needed to feed a human on meat is about 20 times more than needed for a vegetarian diet. This is clearly unsustainable. The answer seems obvious, eat less meat and dairy products, with the associated health benefits as side-effects. Fossil fuel use. We continue to burn vast amount of fossil fuels such as oil, coal and gas, in order to generate energy, heat our homes, or power transportation. 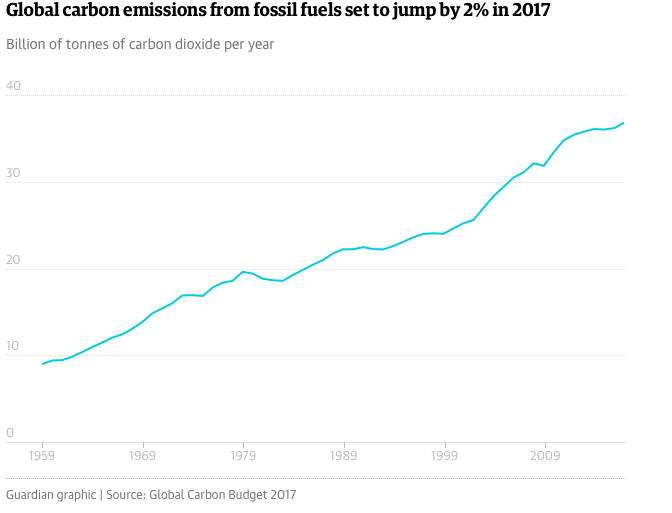 The CO2 emissions from fossil fuel burning continue to increase, despite the Paris Climate Change agreement being signed in 2015. Burning fossil fuels is the primary cause of climate change. We have perhaps 100 years left of these primary fossil fuels, which means we’ll have used up what the world has to offer over the course of about 300 years, reserves that took millions of years to create. This has to be one of the best examples of unsustainable human-based activity, however with continued research and development hopefully alternatives such as electric cars (go Tesla! ), renewables, or fusion energy will increase or come online soon. …not sure one can argue with that. A basic example of this can be found from studying the growth of a bacterial colony in a petri dish. The colony starts off slow, then grows exponentially using up the finite resources available, then dies off once the agar jelly runs out. A simple example but with obvious parallels to humans and the Earth. I’ve been reading recently about shifting baseline syndrome. Over time knowledge is lost concerning the state of the natural world, as people don’t perceive the changes taking place. Today’s younger generation won’t for example remember that gardens used to be full of butterflies, or that birdsong used to be so much louder, or that rhinos were once commonplace in Africa. It has to be a concern that the environment and biodiversity will continue to decline due to unsustainable activity, but people won’t realise the extent of the decline because they have no first hand experience of what things used to be like. I hope that education will fill this gap, and Deep Ecology will start to become part of the syllabus; humans are just one of many equal components that make up the global ecosystem. We’re not above or apart from it, we’re a part of it, and could not only survive but thrive if things are done the right way. I don’t know how we change public opinion quickly enough to make the changes needed to ensure we can survive and thrive. Most governments don’t seem to give it a high priority, or are swayed by lobbyists driving their own commercial agendas, and whilst industry is changing it’s debatable whether it will happen quickly enough. It’s bizarre that we can continue so blithely down this path when you can for example see the ice melting, species dying, diseases increasing, the plastic in our oceans, antibiotic resistance rocketing, and extreme weather events due to climate change happening. I can only assume most people are in a massive state of denial, and refuse to wake-up, because to do so would cause a mental breakdown. The underlying causes of all this have to be the drive to consume (we’re all indoctrinated to do so from an early age via marketing), what we are taught to regard as being successful in life, the pursuit of unreasonable profit and therefore money by a relatively small percentage of the population, and the often mistaken belief that more money will make you happy. After being on my bike for six months travelling round Europe, I realised you need very little in order to be happy. It looks increasingly like we need an alternative model from capitalism, which no doubt had its place in the past, in order to endure. That’s maybe a topic for another blog. As always, safe cycling, and please feel free to comment with any feedback, opinions or interesting links to further information. This entry was posted in Climate Change, General, Self Propelled 2018 and tagged Climate Change, cycling, Earth hour, Environment, fossil fuels, pollution, population growth, Self Propelled 2018, shifting baseline syndrome, Sustainability, weather on March 6, 2018 by SelfPropelled. A couple of weeks ago I came across Brake the Cycle, a touring company that organise adventures combining bicycles, caring about the planet, eco-communities and permaculture, with helping individuals find a new healthier and happier path in life. What better way to do that than on a bike? In short it’s all the sort of thing I’m passionate about, in trying to practise a more balanced, sustainable, and connected to nature lifestyle. Here’s a video from their website that’s really making me look forward to touring again a bit later this year; I’m hoping to pedal down the Wild Atlantic Way in Ireland. If you’re thinking about giving cycle touring a go, but a bit nervous and would like to do it with a group of like-minded individuals, then I’d recommend checking them out. They organise tours in the UK, such as Lands End to John O’Groats and an Odyssey in Wales, to pedalling round Spain or Greece. And they’ll carry your luggage for you! A great way to see new places, make new friends, and experience the joys of cycle touring in a sustainable way. Incidentally I have no commercial connection to this website, I just really like what they’re trying to do and may well get a few friends to join me on one of their tours. I’ve also copied in the blog post below, as I really enjoyed writing this one, and want to keep it for posterity. Riding a bike. I don’t think I could do without it now. I get grouchy if I haven’t cycled for a couple of days. If I have to use my car to commute the day is definitely worse for it. On my 10 mile ride to work I see people stuck in their vehicles, looking grumpy, frustrated, bored, and disconnected from the world outside their sterile, sealed metal boxes. Wouldn’t it be brilliant if more people used their bike to get to work? There are so many benefits to be gained from a regular pedal: mental and physical health, fitness, saving money, and less pollution. It’s actually quicker in towns, and you can eat more cake without worrying too much about the calories. You’re closer to the natural world too — not separate from it like so many people seem to be these days. As we move into Spring and everything starts waking up there’s more to see, smell, listen to and experience whilst pedalling. I didn’t especially know what I was doing when I set off round the coast. I bought a bike I’d been reliably informed was decent for touring, as well as camping equipment I could fit on it, and a whole host of other bits and pieces I thought I might need. Once I’d packed my panniers I mounted my trusty steed, and gently tumbled onto the grass outside my house. It appeared I might have to cut down on what were going to be my worldly possessions for the next three months. That was the start of realising you really don’t need much to be happy. In fact, from what I’ve observed, the more people have the less happy they often are. You meet a lot of people when touring, whether it be in Britain, or in more remote places (for us) such as Albania, Scandinavia or Turkey. The friendliest and most content people I’ve met are often those that seem to have the least, from a material possession point of view; I’d argue they probably have the much more from a spiritual and non-material angle. Starting from Norwich and heading to Lowestoft, on the East coast of Britain, before turning North, getting fitter as I went. I almost immediately had a crash on a Norfolk coastal path, when I discovered loaded touring bikes don’t cope well with sand. This wouldn’t be the last ‘stunt’ of the tour. It didn’t really take very long to get to Scotland, however it took a me a disproportionate amount of time to get round the coast of that glorious country. There are so many ins-and-outs, up-and-downs, sideways then back up bits. Thankfully on a coastal tour it’s quite hard to get lost, all you have to do is keep the sea on one side, and in Scotland there aren’t a lot of roads to choose from when you get beyond Edinburgh. Another Scottish bonus is you can wild camp as long as you’re sensible and respectful, so finding a place to rest wasn’t hard. I always get asked what my favourite bits of a tour are, and it’s often hard to pick one. I know that the journey is definitely more important that the destination — the latter often being a bit of an anti-climax after all the adventures along the way. 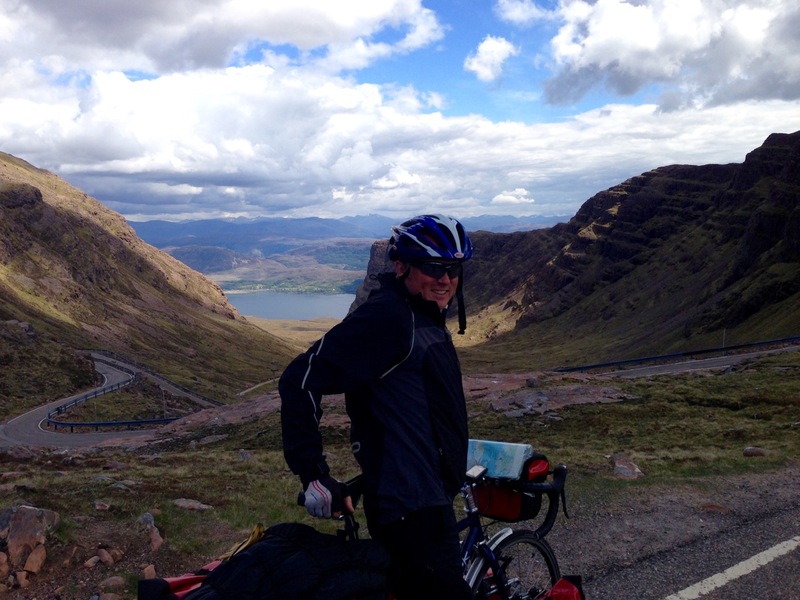 On my 2013 Bike around Britain tour I can definitely say Scotland was my favourite bit, aside from the midges which will eat you alive if you’re not careful. The coastline is amazing, especially the West Coast, and then there’s Orkney where I immediately felt at home, and Skye and Mull which are quite different from the mainland. The wildness of Cape Wrath where I camped next to the lighthouse and ate fresh wild Atlantic salmon was amazing, and I’ll never forget cycling over the Bealach na Ba pass from Applecross, up the steepest ascent in the UK, then descending carefully down the other side with my brakes smoking. That’s feeling alive. Eventually it was time to leave Scotland and cross back into England, via Gretna Green. That in itself was a culture shock after weeks in relative wilderness; coach loads of Japanese and Chinese tourists greeted me as I pedalled through, and I suddenly had to contend with roundabouts and traffic lights again, a rarity in the highlands. Then it was on to Wales which turned out to be, whilst beautiful, very wet and windy. In fact it mostly rained for all of Wales, but you get used to that kind if thing whilst cycle touring, as well as dirt and mud; my theory is your skin is waterproof, so all good. A few local cyclists I met on the road bought me the odd meal, or a pint, which kept motivation levels up. When you’re on a long cycle tour you’re much more in touch with the natural environment you’re in, especially if you’re camping most of the time. You become attuned to the daylight hours as well as the weather, and are definitely very much a part of nature, rather than disconnected from it. On your bike you spot things you’d never see in a car, and meet people you’d never normally speak to. They’re interested because you’re on a loaded touring bike and they want to know where you’ve been and where you’re going ; this can often lead to free meals! You rest when you’re tired, eat when you’re hungry, and take a diversion to see something interesting if the notion takes you. I’d challenge anyone not to feel less-stressed after a week or two of that. The funny thing was as soon as I rode to the other side of the Severn Bridge it stopped raining. I could look back into Wales and it was still cloudy on the other side of the Severn, however I was now in sunshine. Wales is damp, lovely country, but damp. The South West was another highlight, although the hills were steeper than in any other part of the tour; I didn’t have to get off and push until I got to Devon. I rode to Land’s End on a wonderful sunny day, completing a rather long and unconventional John O’Groats to Lands End (‘Jogle’) trip. I laid back in the heather and dozed for a bit, listening to the waves crashing against the rocks far below. The sound of the sea, my constant companion for the three months of my tour, is always relaxing and trance-inducing. Along the South Coast it got a lot busier, but remained entertaining, with the odd ferry to catch over inlets and estuaries. There was more regular supply of ice-cream, and friends joined me along the way to experience a bit of life on the road. After the peace of Scotland the South East was the opposite. A more frantic pace of life as well as an increase in traffic and prices, and more opportunities to get lost. As with everywhere folks still often wanted to say hello and find out what I was doing, or to offer hospitality. Heading North across the Thames I joined the Tour de Latitude, taking a diversion to cycle to the music festival. It proved to be an excellent decision, a chance to catch up with a few friends and ease tired muscles, before heading back to the coast to finish the circuit back in Lowestoft, and home to Norwich. I learnt so much about myself and the UK on that tour. Since then I’ve continued to go on adventures on my bike, including a six month pedal around Europe in 2015, taking in Nordkapp, Tarifa and Istanbul. But there really isn’t any need to leave Britain to get away from it all, reconnect with nature, and try something new. 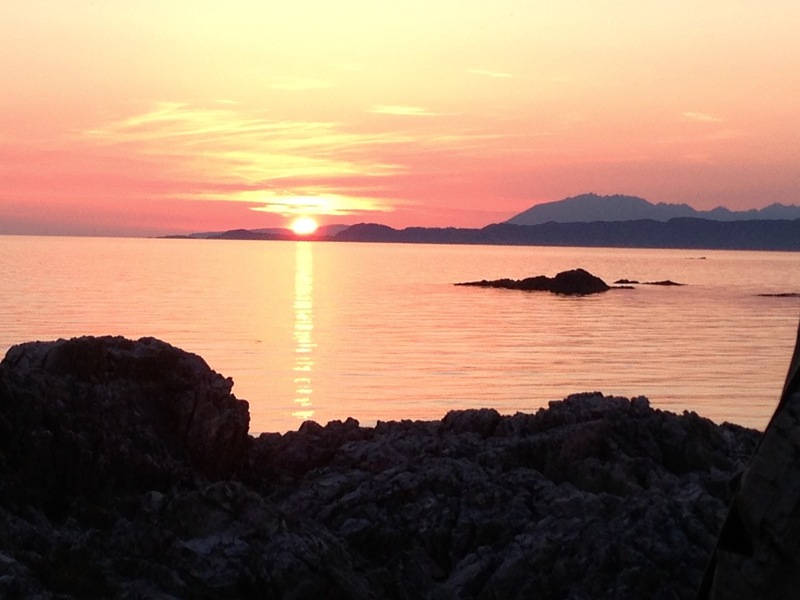 We have so much on our own doorstep to enjoy, learn about and be part of. You have a lot of time to mull things over whilst you’re pedalling. In the last two hundred years we’ve grown more and more apart from the natural world, somehow forgetting about it, or believing we’re above other species on this planet. There’s a constant pressure for growth, whether that be population, industrial, agricultural or economic, which is at odds with the finite resources we have access to, as well as our own wellbeing. I can’t help wondering if a lot of the mental health issues we experience today are caused by the realisation, by all of us at some level, that things aren’t right at the moment. Getting on your bike, whether that be for you daily commute to work or to take up touring, is a great way to start reconnecting with the world, to start working out what’s important, and to bring more contentment and satisfaction into your life. People always seem to ask me what I’m going to do or where I’m going to go next? I ask, where are you going next? This entry was posted in Cycle Touring, Fun stuff, Self Propelled 2018, UK and tagged Adventure, Bicycle Touring, Bike, Brake the Cycle, Countryside, Cycle Touring, Environment, Expedition, photos, Self Propelled 2018, Tour preparation on February 27, 2018 by SelfPropelled.